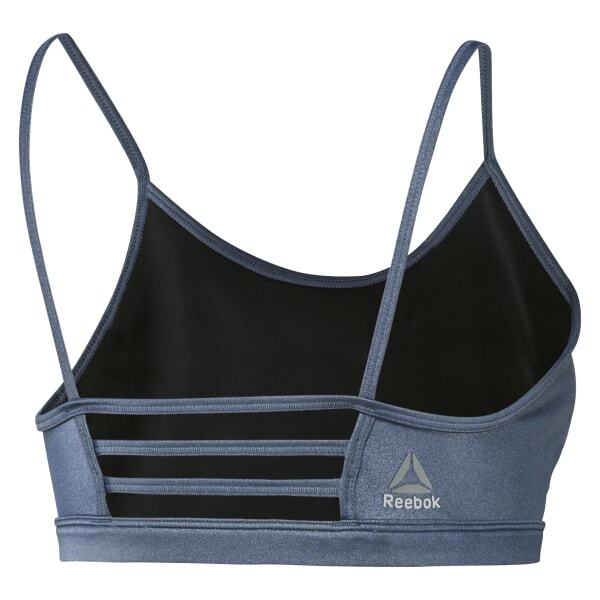 Revolutionize your studio wear with our newest Hero Rebel Sports Bra. Its super strappy style supports medium-impact actions with the lift of spacer fabric on the inside. The outer fabric adds some high-shine effect even while Speedwick works to whisk the glisten of sweat away from the skin.